Being without a driver’s license wasn’t a conscious choice. Like a lot of things it was a consequence of anxiety, distractedness, and convenience. I was never the most comfortable driver: I could never get past the idea that I was in control of a 2,000lb mass of metal and glass that could kill me and others. Still, since I went to high school in New Jersey, getting a driver’s license was a rite of passage. I did it (just barely). For years after that, my license was mainly a means of procuring alcohol. I never owned my own car, never bought a car, almost never drove a car. By the time my license came up for renewal, I’d moved to New York City, the city that might be the literal worst place in the world to own a car. Owning a car in New York is like keeping a unicorn in a closet; it’s cool and all, but isn’t it kind of cruel? I got the paperwork to renew my license, had a few months to get it sorted, tossed it aside, and went on about my business. By the time I actually remembered that my license was going to expire, it had already shuffled off this legal coil. 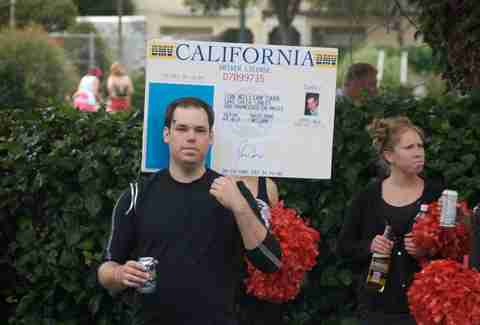 After that, life was mostly arguing with bouncers that, while my license was no longer valid for driving, it should be perfectly valid as ID. Eventually the New York winters got to me and the writing game pulled me off the East Coast to Los Angeles. When I left, everyone asked me about the driver’s license, the car thing, what was I going to do? I’d smile and say I’d figure it out. It couldn’t be impossible. Could it? 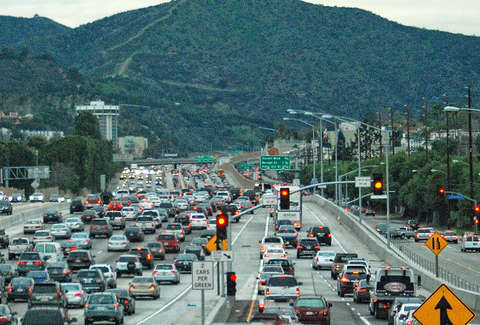 Let’s get this out of the way: living in LA without a car is decidedly not impossible. Go figure. 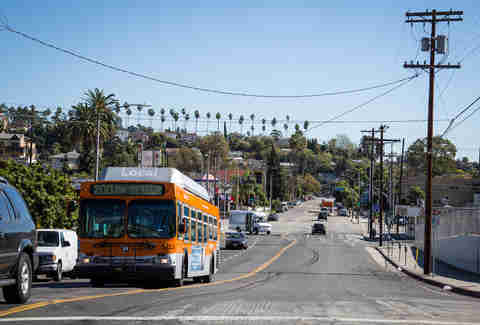 Despite everything you’ve heard, LA does, indeed have a public transit system. And it’s a pretty good one! (No, really, it is.) 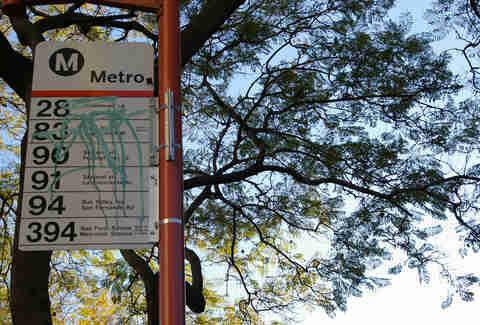 The buses and Metro are (mostly) clean, easy to use and reliable. Of course, that all comes with caveats -- like “Don’t try to go to the Westside.” But let’s be honest, that’s just basically true all the time. LA has a rep as an isolating city. There’s so much space, so much distance between yourself and your fellow humans. That distance shrinks down real fast when you’re on a bus together. Mostly, I’ve found, this creates some interesting interactions. Little conversations spring up. Small acts of kindness are shared. Teenagers leap out of seats so old people with walkers can sit down. I saw one bus rider get up to clean a mess and another bus rider, a total stranger, kept watch over his seat. There was a time when a boisterous group of teenagers got into a rap battle with a bus driver. These small human moments can make the LA grind a little lighter. I grew up on the NYC subway system and let me tell you: it’s not really all it’s cracked up to be. Sure, it runs all night and gets you places, but it’s also bathed in stranger danger and other people’s DNA. And it’s over a hundred years old and sometimes feels designed for the hobbits that ruled the earth then. 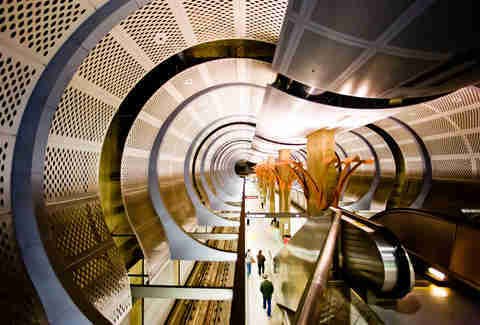 LA’s Metro is relatively new and built for more modern times. The arrival time clocks are accurate. There are a few outlets sprinkled around, for when your phone’s battery is dying, or you want to work on your laptop on the commute. It doesn’t run 24 hours, sure. But -- unlike NYC -- they use the downtime to clean it. It’s easy to hate on the LA transit system, but I don’t. For all of the Metro’s reliability, when it’s unreliable, it hurts. Almost personally. Like the city itself is trying to remind me that it’s a car city and the transit system exists as a favor. Plus there are the long, long distances. Going to LAX, which is bad enough by car, is essentially the Oregon Trail on the Metro (thankfully, I never caught cholera). It’s the same with the Westside, in general. Pack a lunch, say goodbye to your loved one, bring a change of clothes. You’re going to be out there all day. The flip side of the good human moments are what I like to call “Life Lessons from Sketchy People.” Because, it’s true: some very, very sketchy people ride the Metro. And they can get chatty. Waiting for the bus sometimes means standing at the corner of Highland and Santa Monica and listening to an obvious meth head explain that he’s found the secret to the universe: a Day-Glo construction worker’s vest. With that, he can go anywhere, anywhere at all, and no one will stop him. When you start thinking, “Yeah. That’s right. I should get me one of those,” that’s also about the time when you watch the cars whizzing by with jealousy. But even with all of that, I’m going to miss the LA Metro. I just got my driver’s permit and will be taking my road test for an actual, official LA driver’s license soon. While I’m looking forward to cruising down the 101 with my radio blasting (traffic permitting), there’s some sadness. Riding the buses and trains, I got a kind of ground’s-eye view of LA. It made me love this crazy city in all its sprawling splendor even more. Most of the time, when I run into people who don’t like LA, I’m a bit mystified. I ask them why and the number one answer is “the traffic.” For a year now, I’ve ridden above or below the traffic and was able to see the city itself. I hope to hold onto that. Whether or not I’m wearing a day-glo construction vest. J. Holtham likes long walks. Long, long walks. You can find him on Twitter and Instagram: @jholtham.